Juicing is a simple and effective way for you to get the vitamins, minerals and antioxidants that your body needs. With the Bella High Speed 1,000 Watt juice extractor you can quickly and effectively extract the juices from your favorite (and not so favorite) fruits and vegetables. 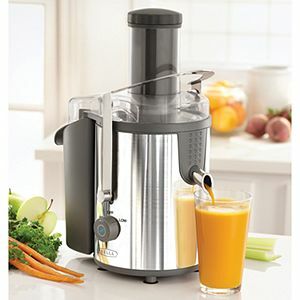 The Bella High Power Juice Extractor is a simple way to get your daily fruits and vegetables.